Looking for private in-home or in-studio Broadway Singing lessons? Our Dickinson teachers are ready to get you started. Find your teacher today! Check out some of our most popular teachers near Dickinson, TX including Houston, Spring, Sugar Land, Pearland and Katy. I am an active professional singer with eight years of teaching experience. My students include a range of levels and ages who vary in musical aspirations and sing in many different styles, including opera, art song, jazz, blues, pop, and musical theater. My students have gone on to sing on Broadway, pursue music and theater degrees, compete and win competitions. Many of my students also study piano or guitar in order to increase musicianship and independence in study. Students are given every opportunity to become well-rounded, performing musicians when studying with me. I am a friendly, open-minded, enthusiastic musician who loves teaching others! I have been teaching this subject for over 13 years. There is no specific curriculum as each student will come to lessons with their own unique skills, needs, and goals. Lessons are tailored to those specifics. It is not necessary to know how to read music at the first lesson for beginners. However, learning to read is required for subsequent lessons and will be a large focus for all non-readers. Music is not learned "by ear." A certain amount of theory will be a part of every lesson just as technique and repertoire. Concerning repertoire, it will be selected primarily from the Broadway and West End rep based on the student's learning needs and with their input. The main emphasis on performance lessons, however, will be technique (enunciation, breathing, pitch/intonation, etc.) and reading. Students should come to the first lesson prepared to discuss their background & goals and the plan of their course of study. Gain the voice that can easily sing songs from more classical musicals to contemporary musicals. Gain a strong and consistent mixed tone (Legit and Edge/Bright/Forward). Eventually, student's voice will sound appropriate to what ever style of song they are singing. "Belt" in a healthy way by building up your mix. These lessons are scheduled weekly. You would like to combine fun with your favorite songs and improvement of your voice from your first lesson on? You like to learn how to control your voice, reach higher registers and know how to perform on stage? With my more than 10 years of experience as a jazz/rock/pop vocal teacher I can guide you to reach your goals, feel comfortable with your singing and how to set you up for your first gig! My focus is to help each student find the easiest and most comfortable sound they can produce, and my goal is to always be supportive of students' individual needs so they can be confident in their progress and artistry. As someone who started out with little singing ability (an octave range, difficulty matching pitch) and who ended attending college on a music scholarship and now sings professionally and competitively, I am a firm believer that anyone can be a singer if they have the right instruction and are willing to work. Experienced teacher and performer from Austin, Texas. I am a UT Austin Graduate (BA English with honors, BM Voice Performance with honors; minor in Creative writing), receiving scholarships in both fields. I have taught private voice for 6 years and taught 8th Grade English for 2 years. Currently a freelance voice teacher and performer, singing bossa nova, opera, baroque music, and concert repertoire throughout Texas. My son was excited to have a real singer as an instructor, and hasn't stopped bouncing and singing scales since! We're looking forward to growing with Mr. B's help! I hired Bruno to help me comprehend my book for class. He showed up and genuinely cared that I was getting it. He showed me a note taking idea that to me seemed that if I just wrote a couple of ideas down I’d go back and know where I was as far as going back and studying. He asked if I needed to write this point down and basically showed how to do the job. Great work. can comprehend. 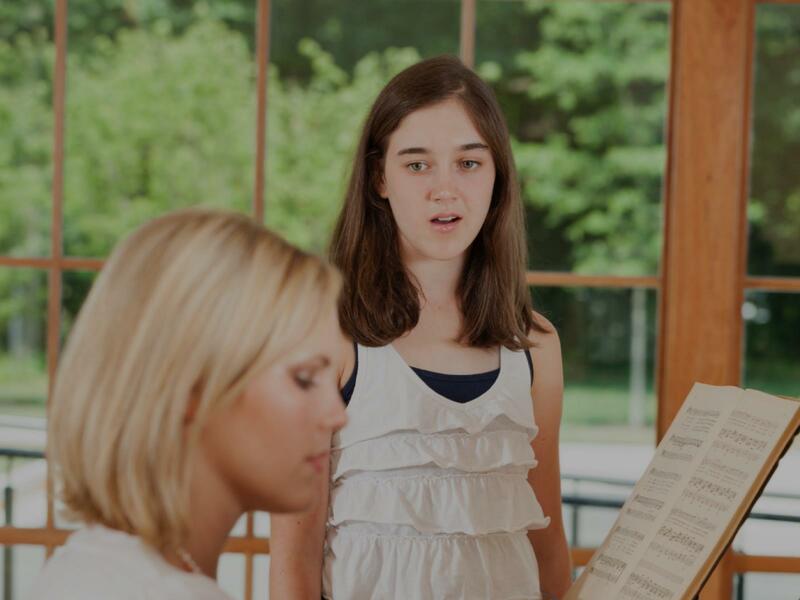 Lessons are a great way to improve your singing. I’m becoming more comfortable performing in front of my peers. I believe that singing is about so much. It is a way to express yourself, it is a way to gain confidence, and it is a wonderful discipline. I want to help you find YOUR voice. It would be so much fun to get to work with you on anything you might need: sightreading, Choral solos and music, your favorite pop or country song! Anything that interest you! I am an opera singer and voice teacher. I received my bachelors in vocal performance from Oberlin Conservatory of Music, where I taught secondary lessons through the conservatory. I have performed all over the United States and in England. I am currently studying at The Eastman School of Music as a master's student. o practice each week. My intention is to inspire my students to have a discerning ear and to appreciate all that goes into making a voice work. My students have been accepted to major college voice programs, as well as participated in competitions and summer programs around the United States. Rosie is very professional and insightful. The methods she introduces to me help a lot! I am a student at UTC looking to teach students who are beginners and are passionate about learning about their voice!! I have taken a class on Vocal Pedagogy that teaches students to use their voice and really enjoyed my time working with beginners during this course! I have been taking lessons in classical voice for several years now and have traveled around and sung with several professional choirs. Hi! My name is Emma and I am Vocal Music Education major! I have completed three years of classical voice lessons from soprano Caitlin Moore and mezzo Dr. Rebecca St. Goar. I believe that learning to read, play, and sing music is an experience everyone should get to have at some point in their lives and would love to get you started on your journey! I love getting to know and work with new people and so far TakeLessons.com has been a positive experience for me in getting to teach students all around the world! -I have current experience teaching piano to children 6+ and have taught voice lessons and gained some experience in that area through my Vocal Pedagogy class at UTC. -I am primarily a singer and have been singing in choir since I was in elementary school! Chamber Singers and First-Centenary United Methodist Church's Chancel Choir in Chattanooga. -I have done an internship with the Tennessee Chamber Chorus. -I have also played a few roles in musical theatre productions such as - The Secret Garden, Shrek the Musical!, etc. Great teacher. Helped me feel more comfortable singing and learn how to use my voice. Emma did a great job with my littlest and my wife. Enjoyed my first lesson. I’m excited to learn more. Can't find a teacher in Dickinson, TX?